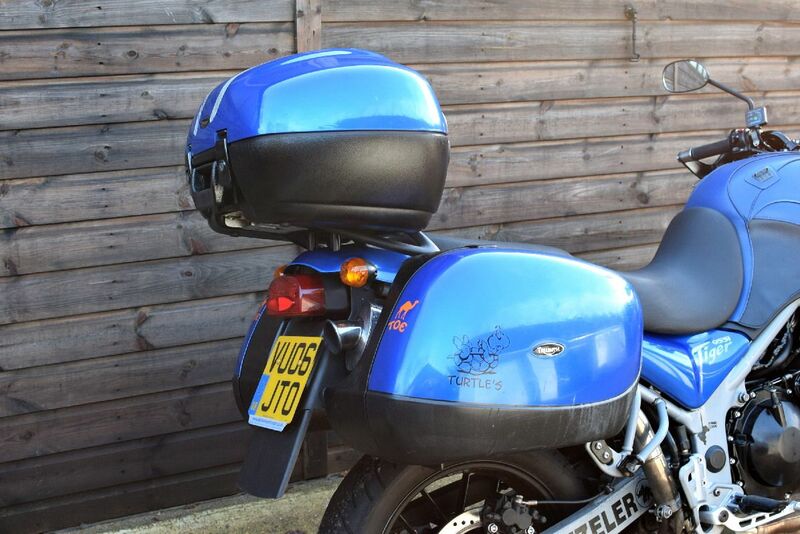 Nice example of a 2006 06 Reg. 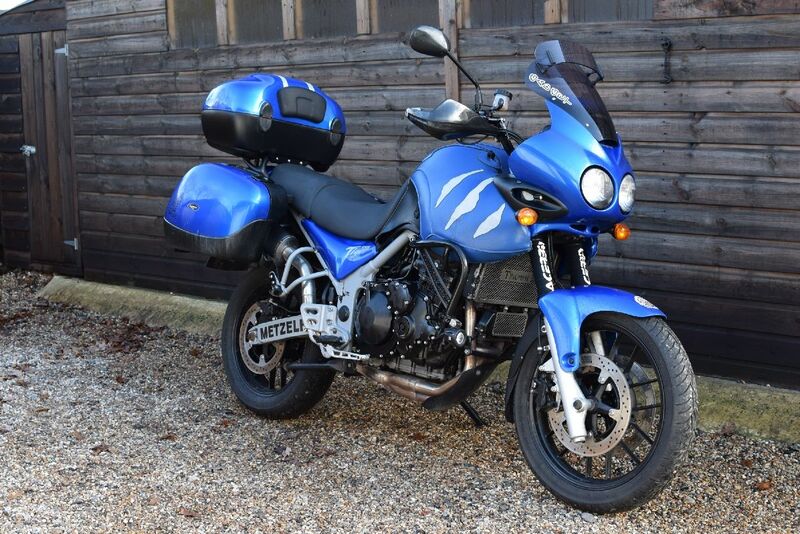 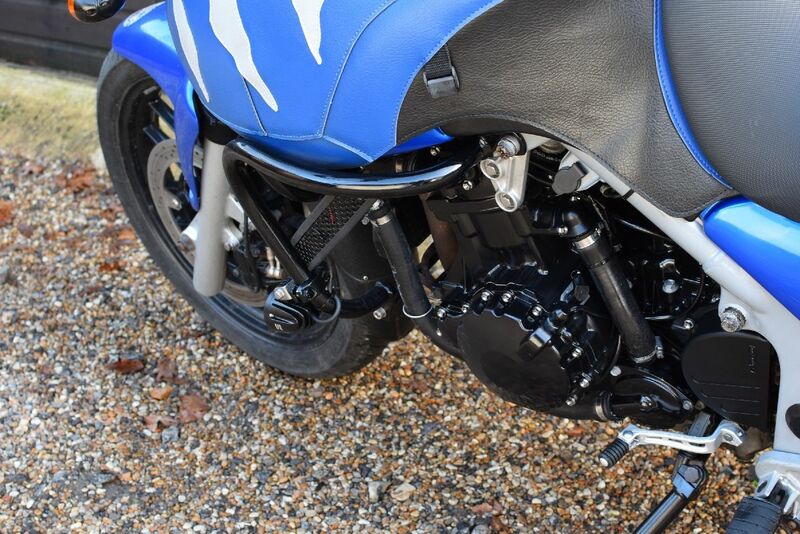 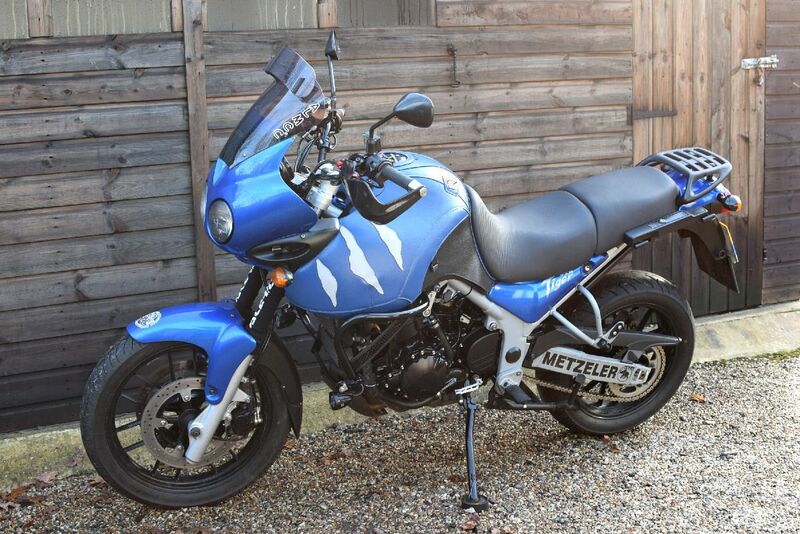 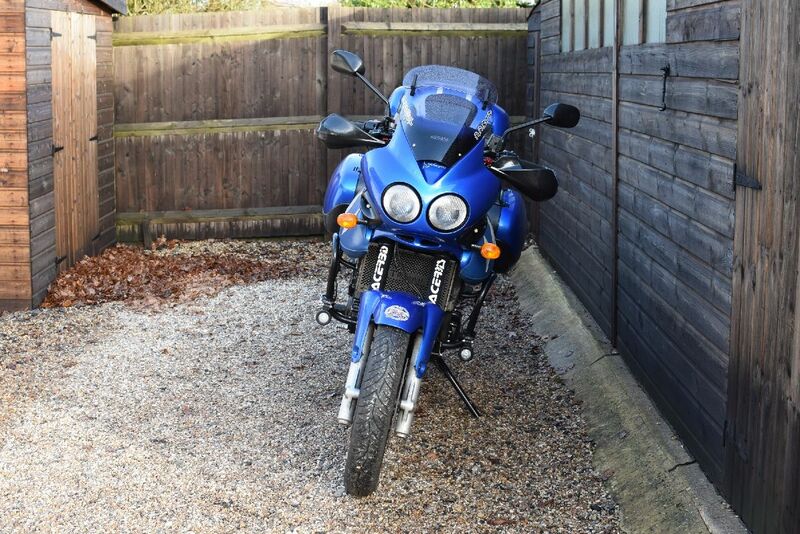 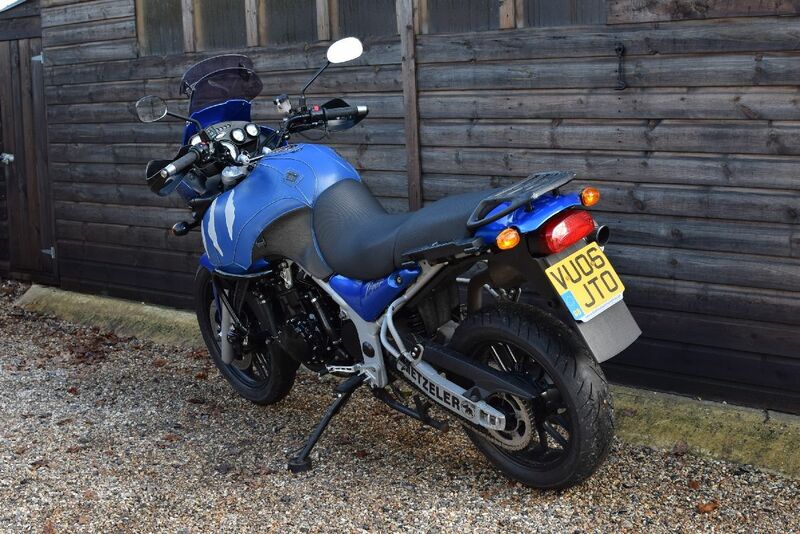 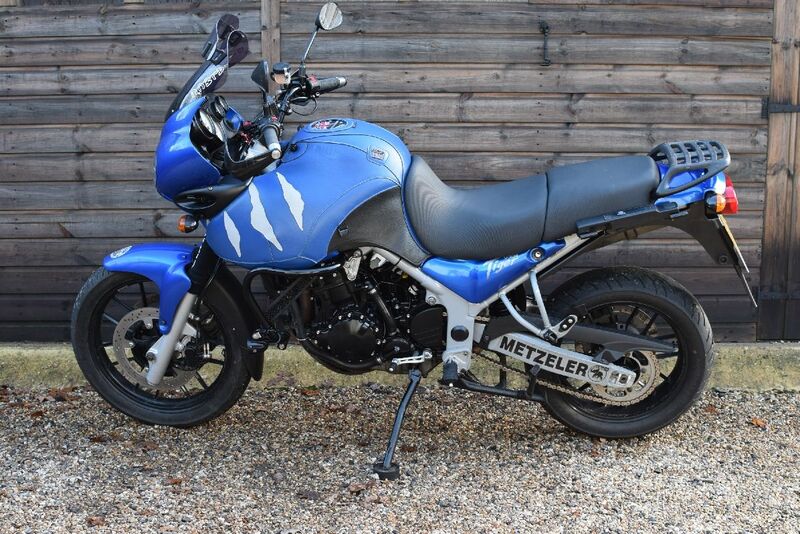 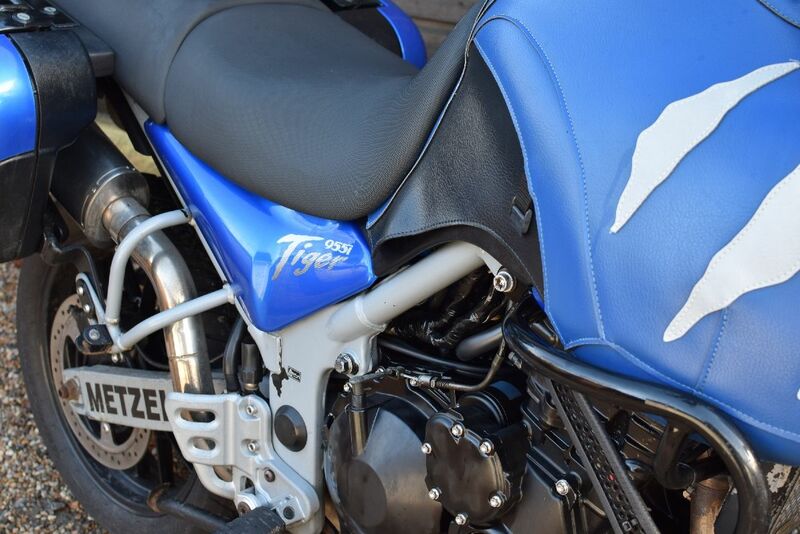 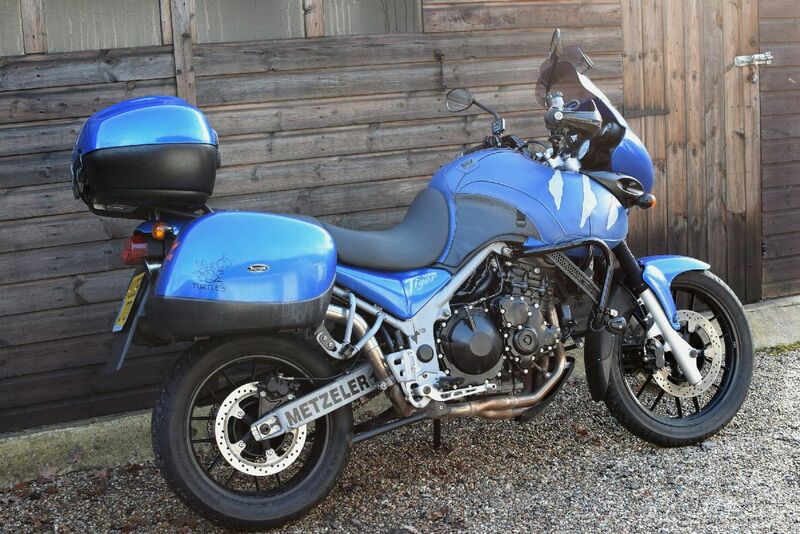 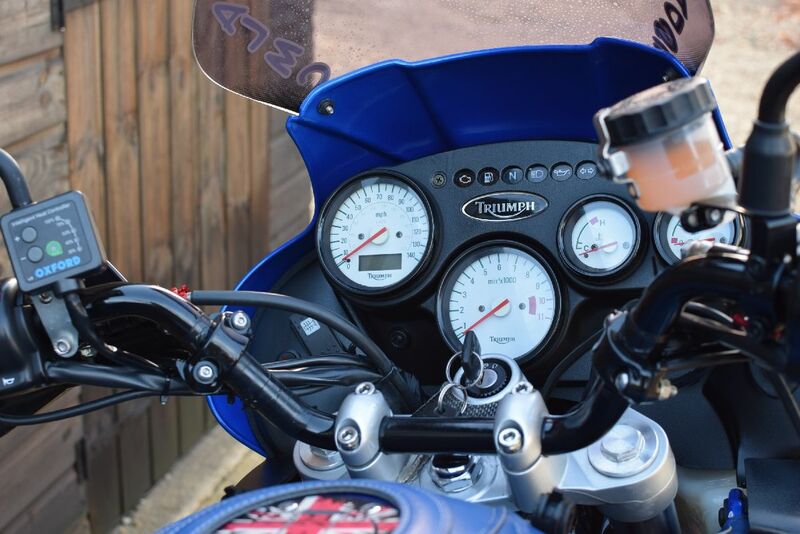 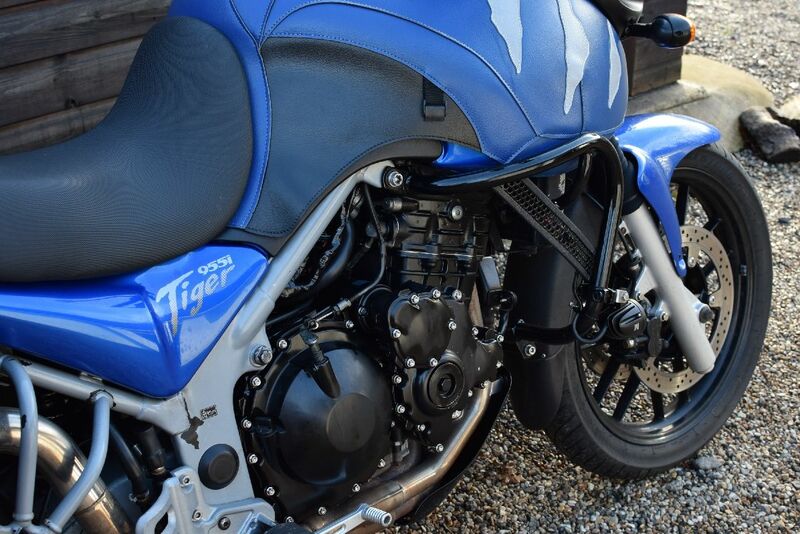 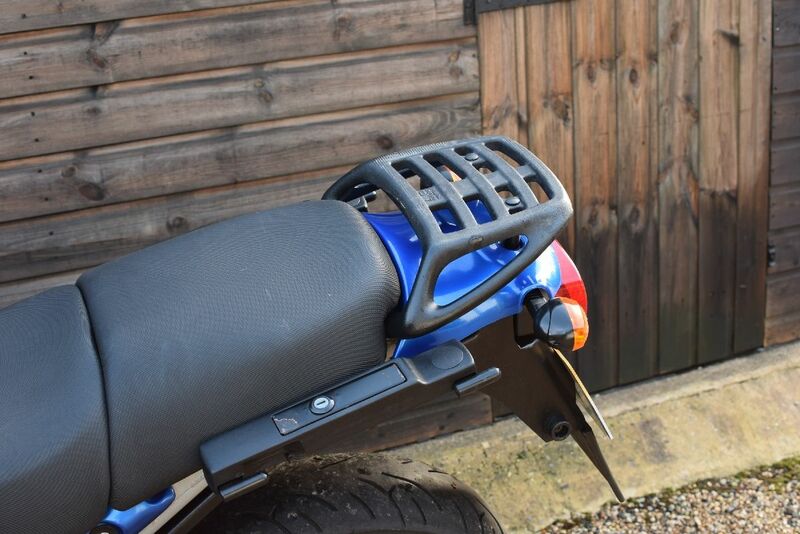 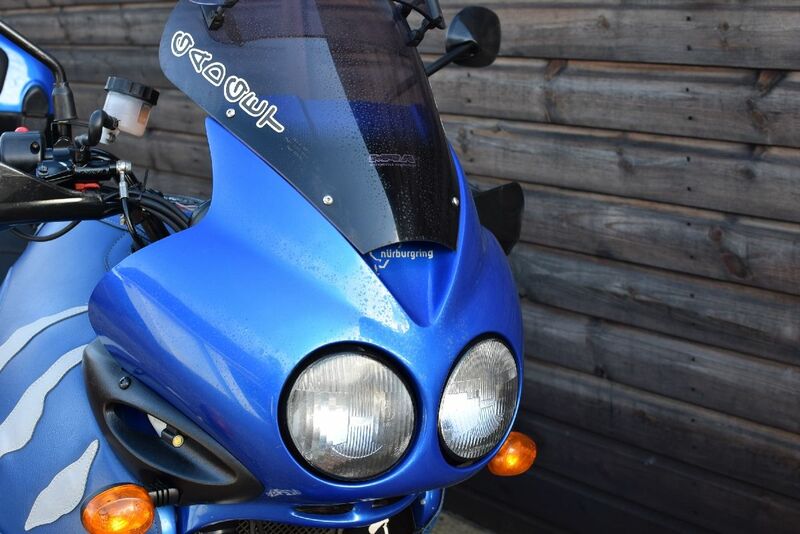 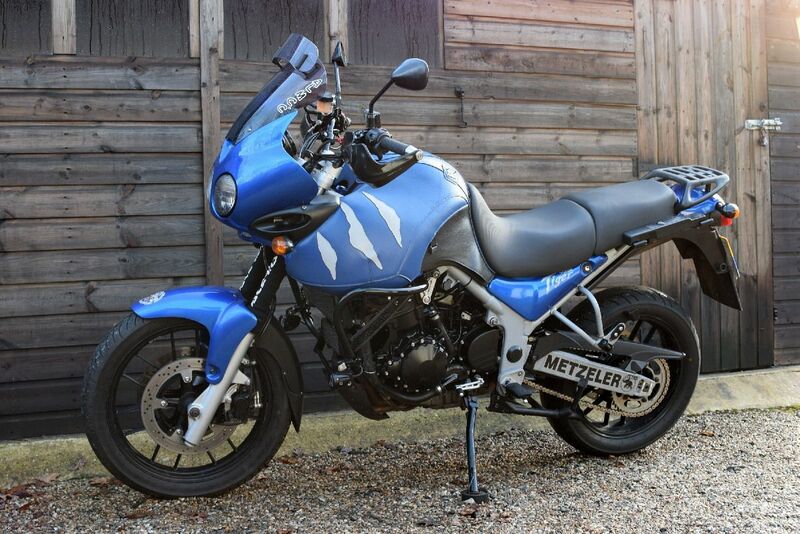 Triumph Tiger 955i in Caspian Blue metallic, fully kitted out, lots of extras, and with full 3 piece Triumph luggage. 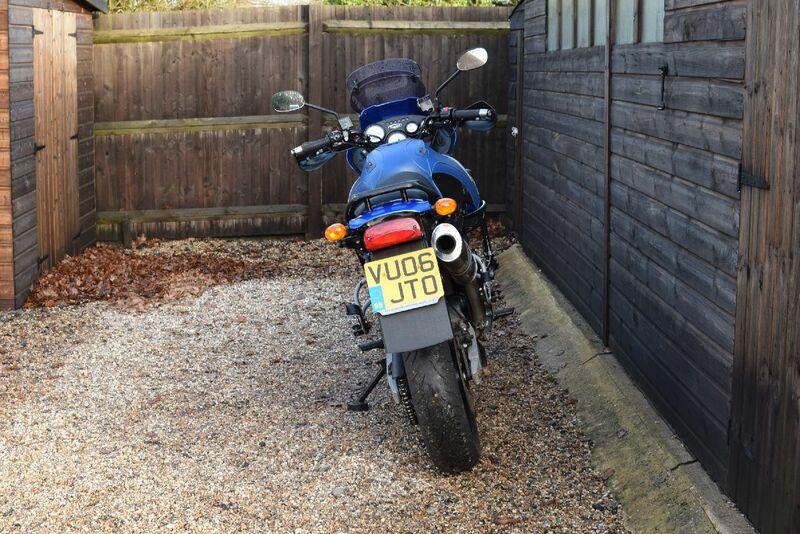 34000 miles with service history including it’s original stamped service book, service bills/invoices and old MOTs. 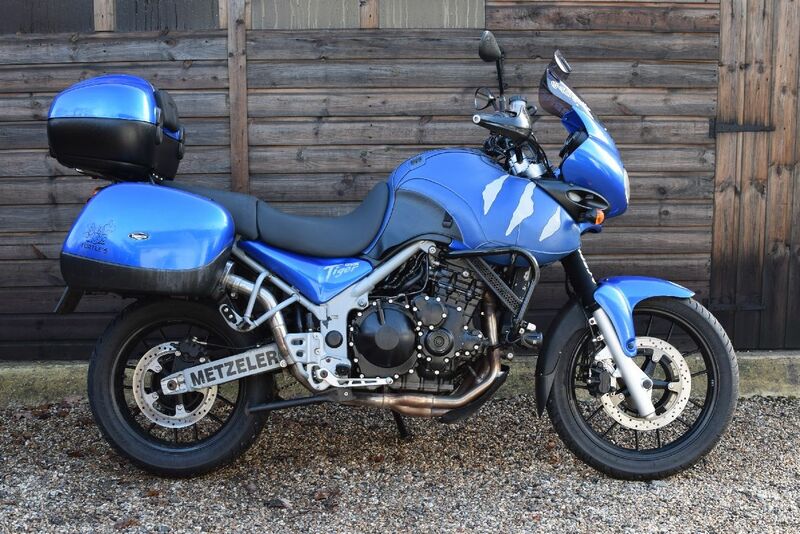 Major servicing at 25000 miles included a replacement camchain and valve clearances checked and adjusted. 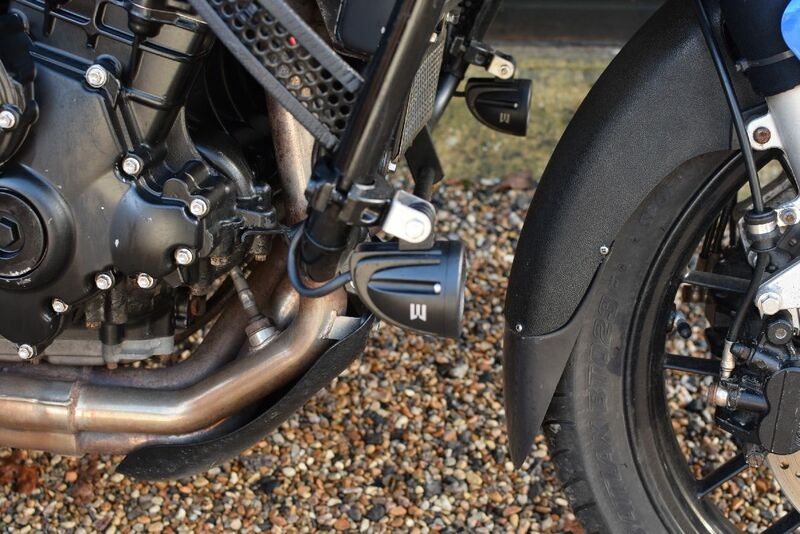 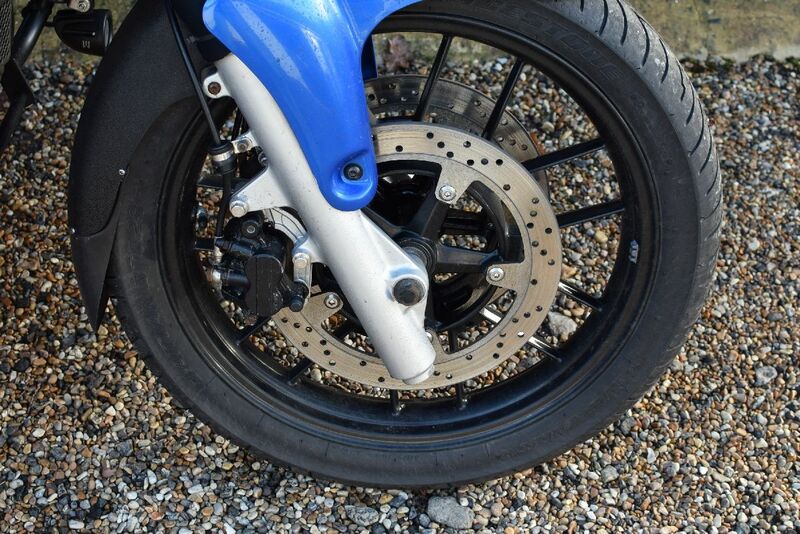 Excellent matching Bridgestone T23s fitted with all books/manuals/documents present.